Al Wehda Mecca (SBL) strengthened their roster with addition of 30-year old American power forward Travele Jones (203-88, college: Texas Southern, agency: Promotex). He started the season at Echague in Argentinian La Liga. In 5 La Liga Argentina games he recorded 13.4ppg, 5.0rpg and 1.0spg this season. 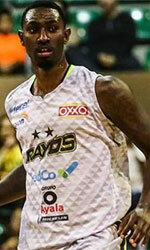 The last summer Jones played at PEA (TBL) in league where in 6 games he averaged 10.2ppg, 8.8rpg, 1.0apg and 1.2spg. 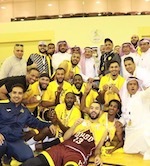 Among other achievements his team made it to the Basketball League Semifinals in 2018. Jones received also Asia-Basket.com All-Iraqi League Honorable Mention award in 2017. He is a very experienced player. Thanks to Jones' pro career he managed to play on four different continents (Europe, Asia, Latin America and of course North America) in eight different countries. Jones has played previously professionally in Belgium, Chile (Los Leones), Greece (Arkadikos), Japan (Sendai 89ers and Aomori Watts), Switzerland (Massagno), Uruguay (Atletico Welcome), Vietnam (Saigon Heat) and Iraq (Nift Al-Janoub). He attended Texas Southern University until 2011 and it is his eighth season in pro basketball.